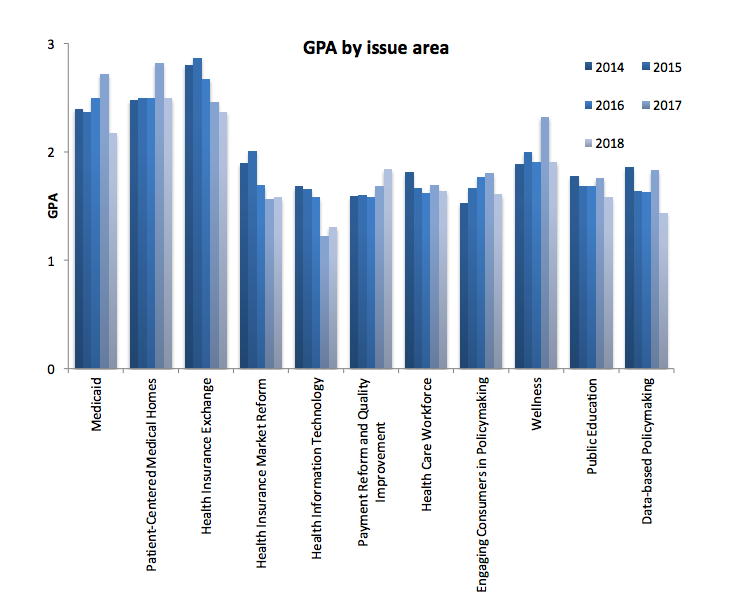 Connecticut health care thought leaders lowered our state to a C grade for health reform this year, matching the lowest grades in five years. No thoughtleader rated our state an A this year. Connecticut’s grade for effort also dropped in this survey, down to C+. Health policy areas that lost the most ground included Medicaid, data-based policymaking, consumer involvement in policymaking and the insurance exchange. 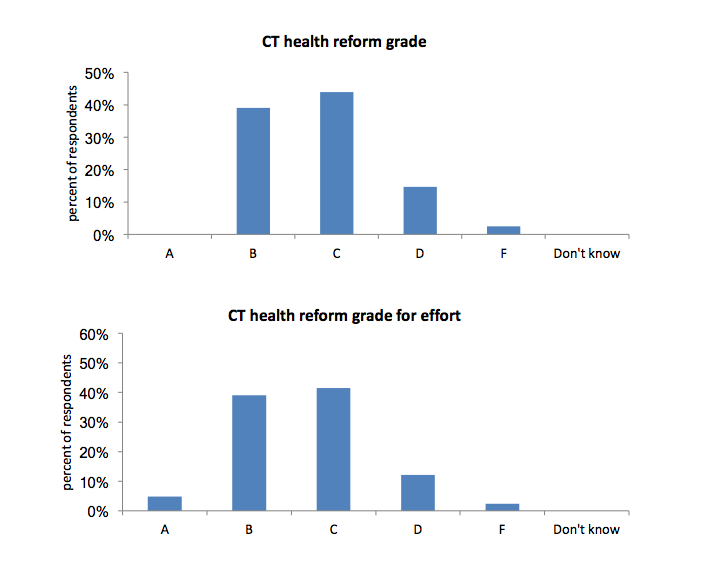 New survey questions found deep concerns about health policy changes at the federal level, but varying expectations about the impact of political changes in Connecticut. Opportunities identified included collaboration and inclusiveness. Concerns centered on costs, prices and government funding for healthcare. Thoughtleaders advice for the next Governor included the opportunity to change direction, promoting inclusive collaboration, resisting special interests and guarding against conflicts of interest, and using data in policymaking. What has been the impact of federal changes at the executive and Congressional levels on Connecticut’s health care environment? What do you think the impact will be of the change in administration and potentially the legislature next year on Connecticut’s health care environment? Fifty-one thought leaders across Connecticut’s health fields and sectors were surveyed online between December 4, 2017 and January 10, 2018. Forty-one (80%) responded. The invitation list was collected from membership of health-related state councils, board and committees, and leadership of health-related organizations. Respondents represented community organizations, foundations, providers, payers, consumer advocates, labor, media, business leaders, insurance brokers, and academics. To ensure independent responses, state officials responsible for reform were not surveyed. Click here for the full survey responses.